A recent story in the Washington Post concluding that the Trump administration is deliberately suppressing immigration, especially from Muslim-majority countries, is based on a deeply flawed analysis that included statistics for only half of all recent immigrant admissions. As a result, the Post's numbers and conclusions are way off — so far off that the story should be retracted and rewritten. The story, written by Abigail Hauslohner, a reporter who covers Islam and Arab affairs, and Andrew Tran, a data crunching specialist, relied primarily on the State Department's immigrant visa issuance statistics. The reporters did not acknowledge or otherwise inform their readers that these statistics represent only about 50 percent of all legal immigrants. The State Department statistics count only those immigrants who are admitted with an immigrant visa issued abroad. The other 50 percent of legal immigrants are admitted through a process known as adjustment of status, meaning they obtain their green card from U.S. Citizenship and Immigration Services, a domestic agency within the Department of Homeland Security. Tran confirmed the methodology in an email to the Center. The authors may have believed that they should count only newcomers to the United States, not those who receive green cards after living in the United States for some time. But it is impossible to identify newcomers from the government statistics, or separate them from the total number of immigrants admitted. Not all who arrive on immigrant visas issued abroad have been living abroad (such as those who qualified through marriage to a U.S. citizen after living here illegally), and not all who adjust status have been living in the United States for a long time (such as those who initially arrived on a fiancée visa and adjust status a few months later). It simply is not appropriate to draw conclusions about legal immigration flows by looking at immigrant visa issuances alone. We examined Hauslohner and Tran's conclusions using statistics on the actual total annual immigrant admissions by country of citizenship, as published by the Department of Homeland Security, and got very different results. The relevant statistics are summarized in this spreadsheet. Below is a list of the most egregious claims by the reporters in italics, followed by the facts according to DHS statistics. "The number of people receiving visas to move permanently to the United States is on pace to drop 12 percent in President Trump's first two years in office." Fact: The total number of immigrants admitted dropped 4.7 percent from 2016 to 2017. DHS has not yet published statistics for total immigrant admissions in FY2018, but the State Department numbers for its half of the total (which were the Post's source) show that State is on track to show a 12 percent decline in immigrant visa issuances from 2016 to 2018. However, immigrant visa issuances (and total admissions) were unusually high in 2016 and higher than normal in 2017. In fact, immigrant visa admissions by the State Department in 2018 are on pace to be 5 percent higher than the previous seven years and 10.5 percent higher than the more typical 2011-2015 period. The number of "new arrivals" from Muslim-majority countries on the travel ban list (Yemen, Syria, Iran, Libya and Somalia) is heading toward an 81 percent drop in 2018. Fact: First of all, it must be said that the travel ban now in effect does not apply to those seeking immigrant visas, except for those coming from Venezuela. For the Muslim-majority nations, it applies only to those seeking temporary visas. Nevertheless, it should not be a surprise if immigration from these countries turns out to be much less in 2018 than it was in 2016 — because the number admitted from these countries in 2016 was atypically high. In 2016, there were 38,700 admissions from the five named countries. In contrast, the average number of admissions from 2009-2015 was only 27,000. The difference is accounted for almost entirely by a one-time spike of about 10,000 immigrants from Yemen in 2016. This is classic cherry-picking of data on the part of the Post reporters. "Legal immigration from all Muslim-majority countries is on track to fall by nearly a third." Fact: Legal immigration from Muslim-majority countries fluctuates significantly from year to year. It went up 23 percent from 2013 to 2014 and dropped 12 percent from 2009 to 2010. From 2016 to 2017, which includes the first eight months of the Trump administration, it dropped 6 percent. The fluctuations track closely with the ebb and flow of admissions from Afghanistan and Iraq, which are driven primarily by admissions under the special green card program for translators and others who assisted the U.S. government there. These admissions represent nearly 20 percent of all admissions from Muslim-majority countries. They have fluctuated based on authorizations controlled by Congress, not the executive branch. "The number of immigrant visas granted to people from Mexico, the Dominican Republic, the Philippines, China, India, Vietnam, Haiti, Bangladesh, Jamaica, Pakistan and Afghanistan has also declined." Fact: This statement ignores the DHS data on total immigrant admissions, which show that aggregate admissions from these countries have grown every year since 2014. And, most of the individual countries (six out of 11) had admissions that were actually higher in 2017 than recent averages. "The number of immigrant visas approved for Africans is on pace to fall 15 percent." Fact: Again, this statement ignores the DHS data on total immigrant admissions, which show that aggregate admissions from these countries has grown every year since 2014, including an increase of 5 percent from 2016 to 2017. "It is unclear whether part of the drop in immigrant visas reflects declining interest in immigrating to the United States." Fact: The immigrant visa waiting list stands at roughly four million people who have already been sponsored by a family member or an employer. Some have been on the list for 10 years or more. This, together with continued high levels of illegal immigration, demonstrates in a very obvious way that there is continued strong interest in immigrating to the United States, regardless of who is in the White House. "The shift in legal immigration is a reversal of the trend under President Barack Obama. During Obama's time in office immigrant visas increased by 33 percent, … the highest level in decades. That surge occurred almost entirely in the last two years of Obama's presidency." Fact: Under Obama, immigrant admissions declined every year from 2009 to 2013, then increased through 2016. The number of immigrant admissions in 2016 was only 4.5 percent higher than 2009, and only 16 percent higher than in 2013, which was the year with the lowest admissions in Obama's presidency. 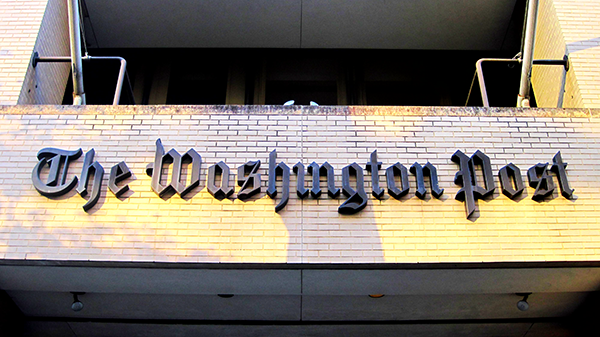 It is counter-productive to public discussion on the immigration issue when newspapers such as the Washington Post, which aspires to play a key role in that discussion, publish such dubious and misleading reporting.